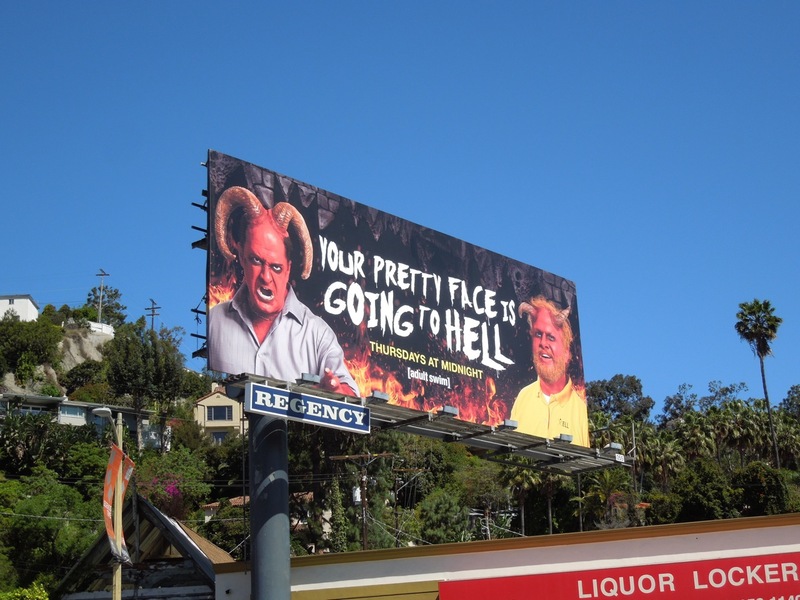 Adult Swim has done it again with a provocative teaser billboard which is just so appropriate for its looks obsessed Hollywoodland audience. 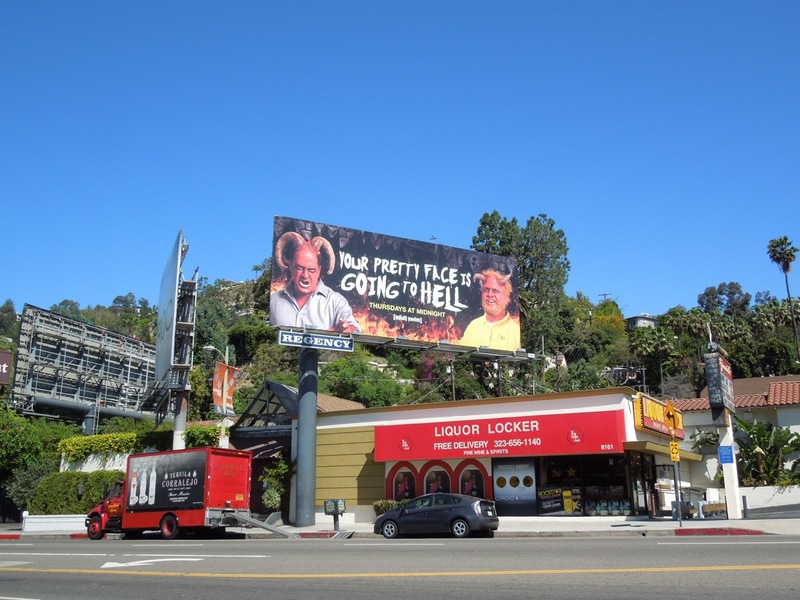 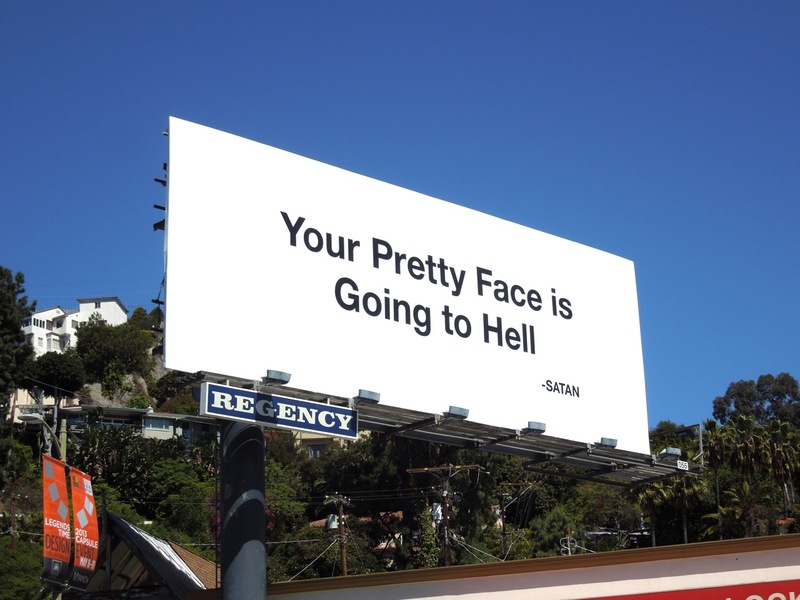 At first you could wonder if this copy-only ad is for a fundamental religious group telling passersby to repent their sins, but those familiar with this being Adult Swim's regular billboard site will know there's always some parody or hilarious jarring creative to catch your eye in this location along Sunset Boulevard. 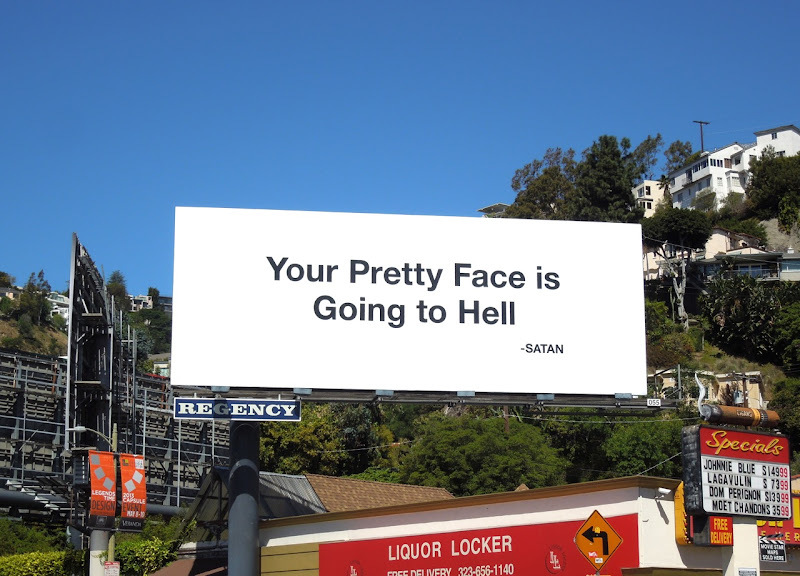 A week later all is made clear as we're treated to the devilish series reveal creative in the same spot. 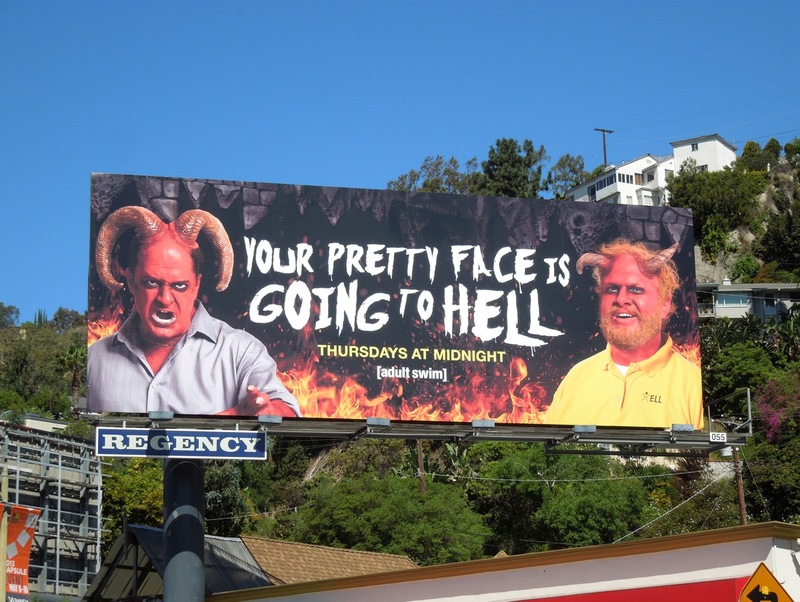 With Delocated ending and the likes of Eagleheart and Childrens Hospital not back until the Fall, Your Pretty Face is Going to Hell is a fab new demon workplace comedy to fill the live-action slot on the funny cable channel. 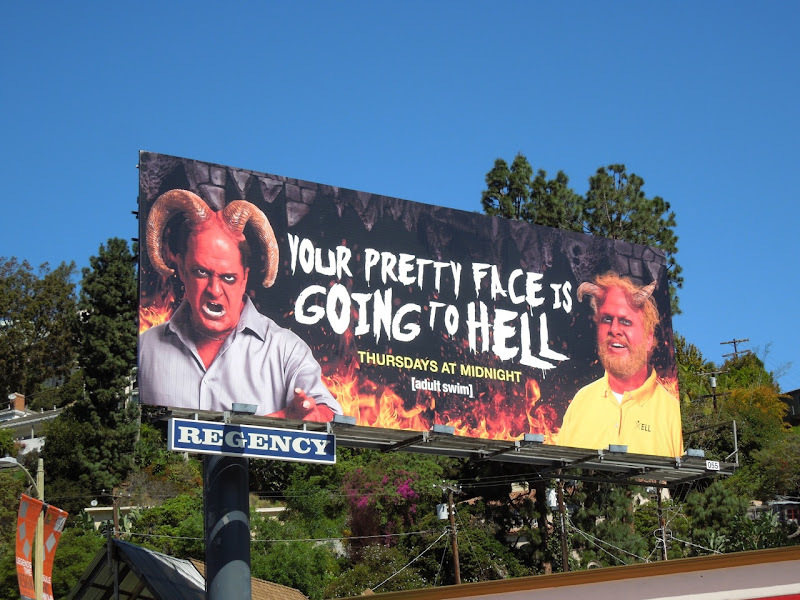 The simple, but extremely clever copy-only teaser billboard for the new series was spied on April 9, whilst the follow up creative was snapped on April 16, 2013.